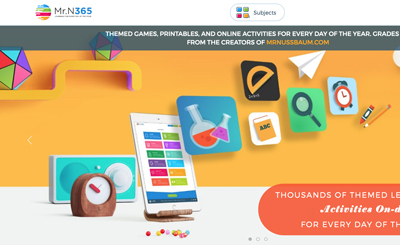 Description: Golden Path is appropriate for kids ages 7 – 10. 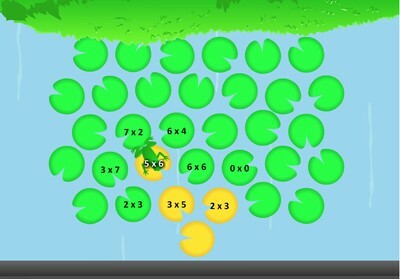 The game requires students to choose an operation and play the role of a frog that must hop to the other side of the pond using lily pads labeled with math problems. Students must evaluate the math problems on two, three, four, or even five connected lily pads and must direct the frog to hop on the lily pad with the math problem that yields the greatest answer. Description: This activity will teach you how to use Golden Path. Which lily pad contains the addition problem with the largest sum? Description: This activity will teach you how to use Golden Path. Which lily pad contains the subtraction problem with the largest difference? Description: This activity will teach you how to use Golden Path. Which lily pad contains the multiplication problem with the largest product? Description: This activity will teach you how to use Golden Path. Which path is the correct one? Description: This activity will teach you how to use Golden Path. Which is the right path?